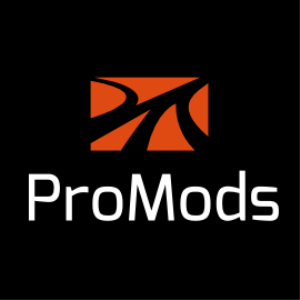 ProMods is an add-on package for the popular Euro Truck Simulator 2 game. This additional ProMods pack adds 200 new trailers, realistic companies and new types of trailers such as jumbo trailers. !!!!!!!!!!!!!!!!!!!!!!!!!!!!!!!!!!!!!!!!!!! WARNING BEFORE INSTALLATION !!!!!!!!!!!!!!!!!!!!!!!!!!!!!!!!!!!!!!!!!!! PLEASE REMOVE THE DEF FILE OF YOUR CHOICE OR THE MOD WILL CRASH! Other mods are often not compatible with this mod. Ask the developers of these mods for more details or research our forums.